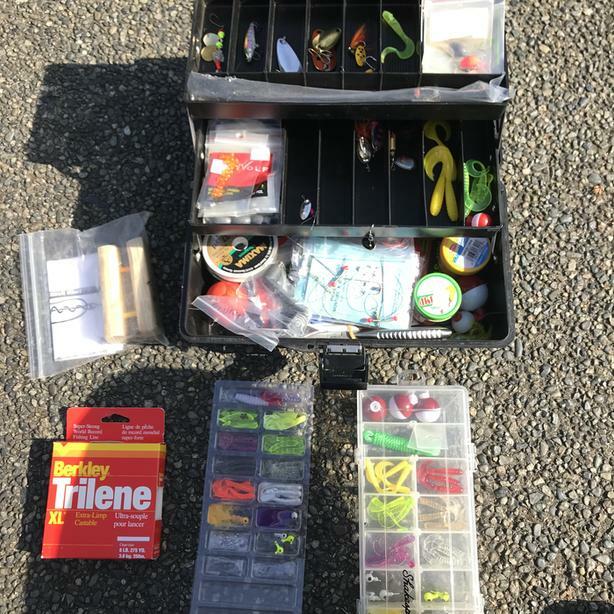  Log In needed $70 · FISHING GEAR - Everything you could EVER need! HUGE SET OF FISHING SUPPLIES!! Full set of tackle, bait, tackle box, lures 2 rods, attachments, clippers, hooks, knife, lines, fishing net, and more! All in fantastic condition, mostly not even opened. Perfect for a new or highly experienced fisher. Would love to keep, but am moving.